Peoples Democratic Party (PDP) elders in Rivers State have accused Independent National Electoral Commission (INEC) of working with extraneous forces to shift collation of the March 9 gubernatorial election results to April 2, 2019. They cautioned that doing so was tantamount to deliberately precipitating constitutional crisis and causing chaos in the state. INEC had earlier set March 20 (yesterday) for resumed collation of results of the governorship and state Assembly poll, which it suspended due to controversy over alleged role of security agencies at collation centres. But the state chapter of African Action Congress and All Progressives Congress (AAC/APC) alliance led by Minister of Transportation, Rotimi Amaechi, approached an Abuja High Court presided over by Justice Inyang Ekpo for an ex parte order restraining INEC from going ahead with the collation and announcement of the results. Nevertheless, the judge struck out the motion, in spite of INEC’s confirmation that it had already collated results of 19 local government areas and would conclude the collation of remaining councils as soon as possible. However, the elders, including former Governor Celestine Omehia, former minister, George Sekibo, Chairman of the state PDP, Felix Obua and Sergeant Awuse, said they have reliable information that the commission has shifted the collation to April 2. They accused INEC of bowing to pressure from extraneous forces and working to cause chaos in the state. They described the commission’s decision to recant from its earlier promise to start collation of results of the election yesterday, as dishonourable and shameful. 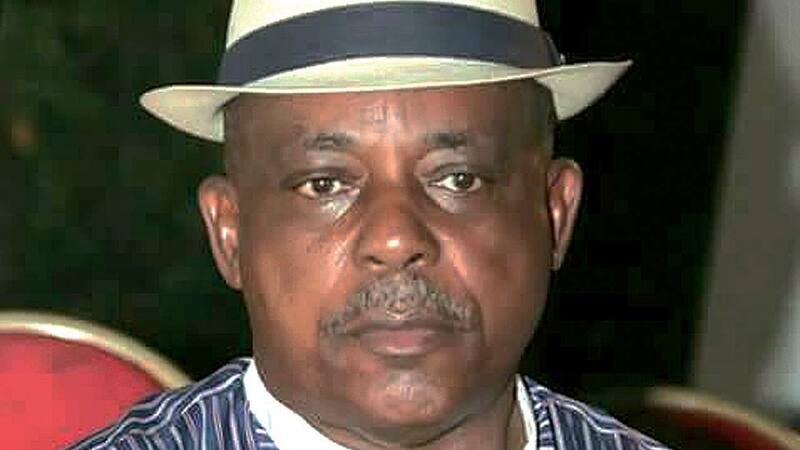 “What INEC wants to do is to precipitate crisis in Rivers State. It is now clear that it has bowed to extraneous forces,” Obuah said. But the elders cautioned that the electoral umpire was treading on dangerous grounds with the planned postponement of collation of results, adding that INEC’s move was capable of setting it against the Rivers people. However, Accord (A) in Rivers State rejected INEC’s decision to continue collation of results of the suspended March 9, 2019 elections in the state. In a statement issued yesterday in Abuja, its National Chairman, Muhammad Lawal Nalado, charged the commission to cancel the March 9 governorship and state Assembly polls. He urged the electoral umpire to conduct fresh elections in the state, saying it was only through fresh elections that the commission could guarantee the confidence of Rivers people in the democratic process. According to him, there was no evidence that election held in the state on March 9, adding INEC should explain to Nigerians and Rivers people at which point it suspended the election and at which point it wished to continue collation of results. Meanwhile, the Pan Niger Delta Forum (PANDEF) yesterday denied claims that it was supporting a particular governorship candidate in Rivers State based on ethnicity. National Secretary of PANDEF, Alfred Mulade, said the group was worried by comments credited to Anabs Sara-Igbe on national television concerning the Rivers election where he had claimed to be speaking on behalf of PANDEF, while canvassing for one of the gubernatorial candidates. Mulade said PANDEF represents all ethnic nationalities in the South-South Zone, and therefore, could not have canvassed any position that tended to cause division among the various ethnic nationalities of the region.